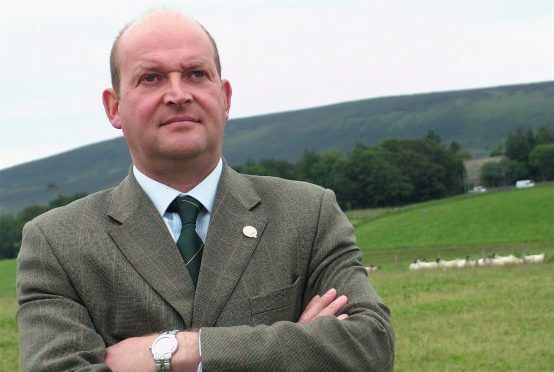 A leading figure in the sheep industry has called on the Scottish Conservatives to put pressure on Westminster to resolve two long-standing farming political spats. The National Sheep Association’s Scottish development officer George Milne, who farms at Kinaldy, St Andrews, said the Tories in Scotland should step into the row over red meat levy money repatriation and convergence uplift. A solution to the prolonged problem of lost red meat levies from Scottish animals heading south of the border for slaughter is said to be with government ministers awaiting approval. Westminster politicians have also previously pledged to look into the issue of convergence uplift, but no solution has yet been found. Convergence uplift is extra Common Agricultural Policy (Cap) monies totalling around 230million euros (£196million) which were allocated to the UK from the EU to bring Scotland’s per hectare subsidy support figure more in line with the European average. Scottish farm leaders have long disputed that the distribution of Cap monies within the UK is unfair and that Scotland was not given this money. Similarly, Mr Milne called on Ms Davidson to use her influence to resolve the convergence uplift issue. He sounded a warning over lamb prices, which are already back about 10-15p a kilo on last year, and said more money was needed to promote Scotch Lamb and get more shoppers eating it. Responding to the calls, Scottish Conservative shadow rural economy secretary, Peter Chapman, said farm industry leaders should be in doubt that his party was a “strong voice for Scotland’s farmers”.